sign up for news, discounts & recipes! 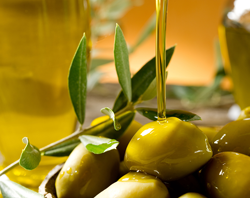 Freshly pressed, award-winning, 100% Extra Virgin and Flavored Olive Oils sourced from artisan producers worldwide. Our oils feature low acidity, superior flavor and aroma. Aged authentic Balsamic Vinegars of Modena, Italy. 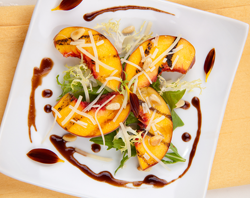 Our naturally flavored White and Dark Balsamic Vinegars exhibit varying densities and flavor intensities. 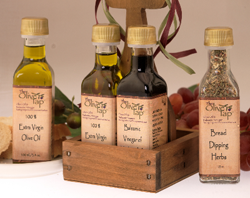 Our extensive on-line recipe library covers just about all of our oils and vinegars. Search for recipes by product or ingredients, view our "Perfect Pairings", read reviews, gather usage tips and more. Make a lasting impression with our gourmet gifts. Designed to thrill your recipient, our gourmet gift baskets, boxes and specialty items are perfect for any food lover! Founded in 2006, The Olive Tap is one of the largest and most exciting olive oil and balsamic vinegar specialty stores in the U.S. Our dedicated and knowledgeable staff is committed to making your in-store or on-line shopping experience an absolute pleasure. 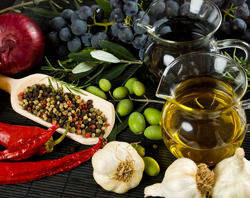 We offer an expansive variety of award-winning Extra Virgin and Flavored Olive Oils from artisan and small batch producers worldwide, as well as authentic, aged Balsamic Vinegars of Modena, gourmet food products, seasonings and spices, and culinary accessories. Whether you purchase from one of our unique tasting emporiums or from our on-line store, you can be assured of receiving the highest quality, flavorful, gourmet products, at a fair price.